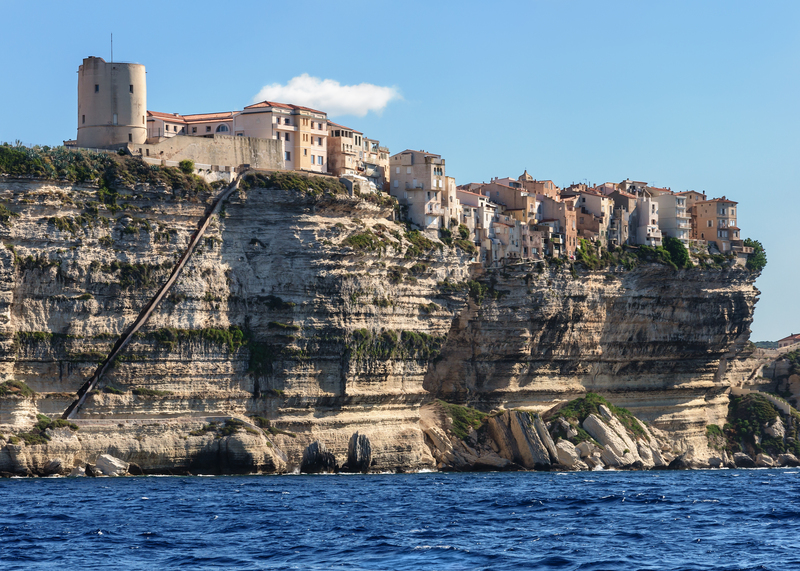 Continuing the idea of stealing repurposing reality for fiction, I present the cliffside Citadelle de Bonifacio, in Corsica. Now a tourist attraction, it’s the placement that is what makes this worth considering for appropriation. This entry was posted on February 13, 2014, 07:00 and is filed under Repurposing. You can follow any responses to this entry through RSS 2.0. Both comments and pings are currently closed.